The Czech President Miloš Zeman has announced that Andrej Babiš (ANO), current prime minister in resignation, will be named prime minister again. - Karla Šlechtová, Minister of Defence, under pressure. - Part of the management of the state-owned company VOP CZ dismissed by Karla Šlechtová. - The Ministry of Defence will purchase field uniforms for the Czech Army for nearly half a billion of Czech crowns. - Mr. Daniel Koštoval, Deputy Minister of Defence for Armaments and Acquisition, is expected to attend the Eurosatory 2018. The Czech President Miloš Zeman has announced that Mr. Andrej Babiš (ANO), current prime minister in resignation, will be named prime minister again. The new government could be formed by mid-July. The Czech Republic lacks fully-fledged government since the October election won by ANO. “The president informed me that he would name me prime minister on 6th June, next Wednesday, at 2 pm. And I was given a deadline to present the new government,” Andrej Babiš said following his meeting with the president. On friday 25th may the Czech Prime Minister Andrej Babiš said: “Mrs. Minister (of Defence Karla Šlechtová, ANO) should take a vacation and relax, she’s probably overworked.” The Minister said earlier that she had been in danger and followed for the last five weeks. Karla Šlechtová also came under pressure by chairwoman of the Committee on Security of the Chamber of Deputies Jana Černochová (ODS), over a presumed foreign mission in Lebanon. Minister Šlechtová was summoned by the Military Police for interrogation concerning the radar and helicopter tenders. “I will go there together with my lawyer, because these are tenders I only took over,” she said, blaming indirectly her predecessor Minister Martin Stropnický (vice-leader of the prime minister’s ANO party, and current minister of foreign affairs). Minister of Defence Šlechtová dismisses part of the management of the state-owned company VOP CZ (Vojenský opravárenský podnik), which saw loss of dozens of millions of Czech crowns last year. Filip Říha, the director of the Procurement Supervision Department of the Ministry of Defence, will replace the Deputy Minister – Head of the Economic Issues Division Pavel Beran in the supervisory board of VOP CZ. The company provides repairs of military vehicles and equipment. 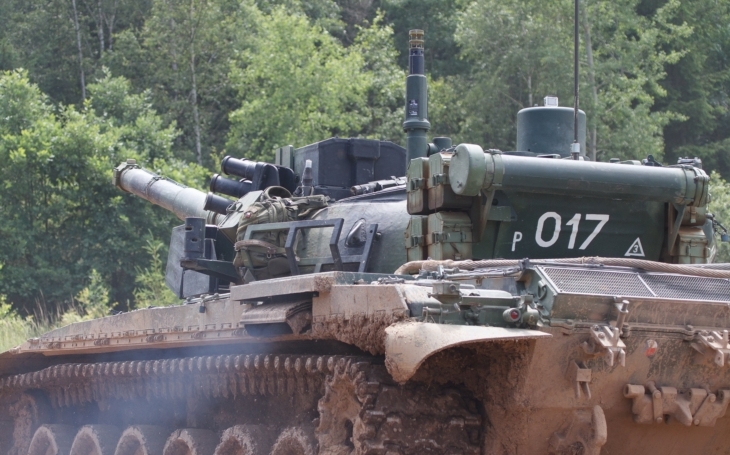 It will be reponsible for repairs and maintenance of the T-72M4 CZ Main Battle Tanks (MBTs) of the Czech Army untill 2021. The contract is worth of CZK 450 million. Upon Minister Šlechtová’s approval, the Ministry of Defence will purchase field uniforms for the Czech Army for nearly half a billion of Czech crowns. Two Czech companies (Koutný Prostějov and Tropner Praha) will deliver type 95 uniforms including summer woodland and desert field patterns between 2018 and 2021. It is expected that Mr. Daniel Koštoval, Deputy Minister of Defence for Armaments and Acquisition, will attend the Eurosatory 2018 exhibition held at the Paris-Nord Villepinte Exhibition Center on 11th – 15th June. The event is dedicated to defence and security with over 1000 exhibitors from about 60 countries who will present a variety of vehicles, equipment, means and systems. For professionals involved in the industry the event offers optimum opportunities to interact with experts and to discover new business opportunities at an international level.